OMA exhibition visit was a very interesting experience, the information that was there very intensive but enlightening. One of the most things that I really liked and enjoyed in the exhibition was the models and how varied the experiments were. Models out of wax, plaster, wood, metal, plastic and even glass. I thought it is an important element in their process and designs. I’ve very much enjoyed how everything is displayed and exhibited, how they thought about every single piece and how it goes in the space from caption to models. Most interesting part was walking into every section of the exhibition and finding it different from the previous part of exhibition. One of the rooms had the captions on the floor and one element of the project’s process an umbrella like object was hanged from the celling. I think the layout of the exhibition was very controlled and thoughtfully everything put in its right place. 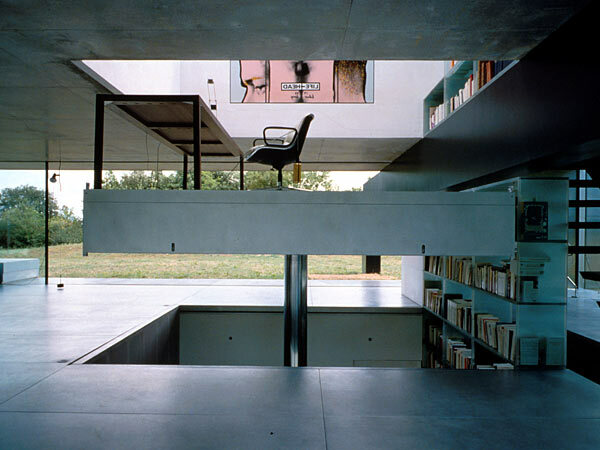 Some of the projects were shown on a film, for example the Bordeaux house that was designed for a disabled man and his family to obtain his needs. The house was to be designed to “Contrary to what you might expect, I do not want a simple house. I want a complicated house because it will determine my world.” Instead of making one simple floor building the Architect designed a three levels flat for the family. And what is surprising is that the wheelchair has access to all three floors by an elevator platform that is the size of a room. The elevator platform, created by the architect, is an indispensable part of the handicapped client. 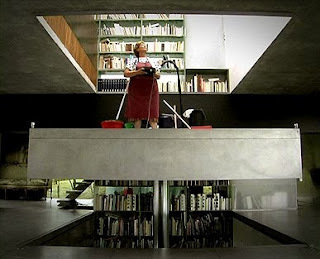 This offers him more possibilities of mobility than to any other member of the family- only he has access to spaces like the wine cellar or the bookshelves made of polycarbonate which span from the ground floor to the top of the house, and thus respond to the movement of the platform.The film stages the complex interior of this building and the house life through the housekeeper and the process of her cleaning the house.